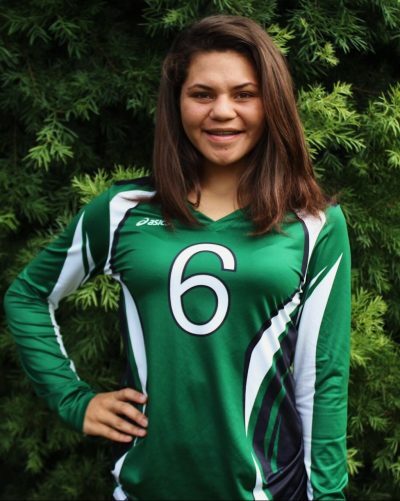 Megan Baldado is in her second year with Pilipa’a Volleyball. She is a versatile player that plays primarily at opposite or middle blocker for the Pilipa’a 16-1 team. She also takes some swings at outside hitter. Megan played Varsity volleyball as a sophomore at Kamehameha-Hawaii this year.